In May 1967 the Eastern Region of Nigeria seceded from the Federation and proclaimed itself the Republic of Biafra with Colonel Chukwuemeka Odumegwu Ojukwu as its head of state. For the next thirty three months a bloody civil war ensued which, it is estimated, cost the lives of two million people. Whilst much of the conflict took place on the ground both sides mounted air offensives although such events did little to change the course of the war. The Federal Nigerian Air Force was comparatively well equipped with combat aircraft including several MiG-17 fighters, some L-29 jet trainers and six Ilyushin Il-28 jet bombers, all flown by mercenary crews. 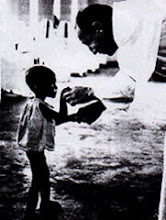 For Biafra however, the situation was different. Isolated both geographically and politically she was unable to obtain aircraft by conventional means and had to rely on the often shady world of the arms dealer and, as a result, came to operate a somewhat motley collection of aircraft. Her two A-26 Invaders were perhaps the most interesting. The stories of how they were obtained almost make a thriller novel! The first example was an RB-26P which originally carried U.S. Serial no. 41-39531 and constructor's number 7244. It had been operated for a number of years by the French Centre d'Essai en Vol (CEV) at Brétigny-sur-Orge where it was used for radar calibration. It was disposed of to La Service des Domaines (Government Property Agency) and on the 9th September 1965 was sold to a Mr. David C.C. Lau of Pan Eurasian Trading Co. in Luxembourg who purchased it "as an investment". Indications were that the aircraft was probably purchased purely for its engines. Pan Eurasian sold it for FF 9800 to one Ernest A. Koenig, a US aircraft engineer and aircraft broker, whose name was to appear frequently in connection with Biafra's aircraft procurement. Koenig applied for US registration on the 22nd September 1966 and was issued with the marks N12756 on the 27th of October that same year. If, as it is believed, the Biafrans eventually paid him $320,000 for this aircraft, then his profit margin will surely go down in the annals of history! Flown to Lisbon by Belgian pilot van Reiseghem, the aircraft took off for Nigeria on the 26th June 1967 and arrived in Enugu via a stopover at Port Harcourt on the 29th. It has always been believed, as a result of what he had written in his book “On Wings of War”, that the delivery pilot from Lisbon onwards was a Polish ex-RAF Spitfire pilot called Jan Zumbach, and that he had been assisted by a French co-pilot. In fact, the aircraft was commanded by a French pilot, ex-CEV at Brétigny, called Jacques Lestrade. This version seems rather more credible as information suggests that Lestrade was one of the few pilots in France at that time who was certificated to fly civilianised Invaders and the fact that the first Invader originated from CEV. According to Zumbach's book, he learned to fly the aircraft after a quick study of the manual and a chat with the Belgian delivery pilot! By no means impossible, but perhaps less likely in the circumstances.. Zumbach's book states that he was paid $4000 for the flight. Lestrade's fee is not recorded although he was considerably annoyed to discover later that the two Americans who delivered Invader No. 2, were each paid considerably more than him! Whether Lestrade stayed in Biafra for any length of time is uncertain although, according to Tony Alaribe, a former Biafran crewmember, he flew some missions in the Invader. On the 15th July 1967, in answer to a query posed by the American Federal Aviation Authority, Koenig returned the certificate of registration stating that the aircraft had been sold to a "Moises Broder" of P.O. Box 240, Port Gentil, Gabon. It is highly unlikely that Moises Broder ever existed. The FAA continued to pursue Koenig and, on the 20th April 1970, they sent him a copy of their Annual Reporting Form by which they keep an ongoing record of US-registered aircraft. He returned it endorsing the back of the document with the information that it had been sold to Gabon. The FAA gave up the struggle in 1974 and deleted it from the U.S. civil register. This Invader was essentially a civilian machine and, to facilitate its export from Europe, it was described as a survey aircraft destined for an organisation in Gabon and carried no offensive armament. As a result of its previous missions it had an unusually shaped "solid" nose. It was ferried in its original bare metal colour scheme but was quickly camouflaged in Biafra with a two tone green/brown scheme on the upper surfaces and pale blue undersides with a distinctive sharkmouth and glaring eye, a scheme which found much favour with the enthusiastic Biafrans. The rudder was painted in the three national colours, black, green and red with a Biafran rising sun insignia superimposed on the middle section. The electrical bomb release mechanisms were still in place but were designed to function with conventional bombs of a certain configuration and weight. 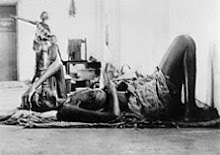 The Biafran bombs were makeshift affairs often fashioned from oil drums and gas cylinders so were in no way compatible with the relatively sophisticated systems in the Invader. Zumbach, who by this time was calling himself “Johnny or Kamikaze Brown” had no choice but to instruct his "bombardiers" to throw them out the opened bomb bay. The bombs were made by a Biafran artificer, Willy Achukwe, whose former trade, it was rumoured, lay in the manufacture of fireworks! Willy's bombs were marvels of ingenuity and even included delayed action devices. Zumbach describes one creation having "a base containing phosphorus suspended in an insulating liquid. A Bickford fuse ran from this compartment through a partition plugged with wax, into a second stage. This compartment contained gunpowder. The third was crammed with scrap metal. Two big nails protruded from the base of the thing. The impact of landing drives the nails into the base of the bomb and pierces the first compartment. The insulating liquid runs out of the resulting punctures and the air gets in. It sets the phosphorus alight, the heat melts the wax and the Bickford fuse detonates the gunpowder." It goes without saying that no machine guns suitable for aircraft mounting were available in Biafra. 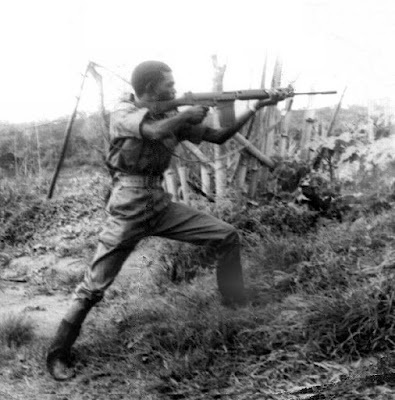 However, the Biafrans were masters of improvisation and, following a visit to the government armoury from which he was invited to take his pick of the available equipment, Zumbach returned to the airfield with two antiquated army issue Czech made machine guns. Biafran mechanics soon had the first one mounted in the nose of the Invader with the barrel protruding from the nose. The hapless forward gunner was obliged to crouch in the dim recesses of the nose cone, without any view of the outside world and without any voice communication with his pilot. Again, Biafran ingenuity came to the rescue. A length of cord was attached to the gunner's arm with the other end threaded through to the pilot's station. Zumbach, equipped with a simple home made gunsight, simply tugged once on the cord to instruct the gunner to start firing and twice when he was to stop. A simple solution! The second one was rigged to fire through the open bomb bay. The 10th July saw Zumbach and his Biafran crew heading north for Makurdi, a supply centre for the Nigerian army some 125 miles north of Enugu. They had been alerted by listening to radio transmissions from Nigerian aircraft that a number of freight aircraft were inbound for Makurdi. The crew consisted of a co-pilot/radio operator, Godwin Ezeilo, a navigator/forward gunner "Freddy", a rear gunner above the bomb doors and two "bombardiers". Approaching the target, Zumbach had Ezeilo call Makurdi airport to ask for landing instructions to give the impression that they were a routine Nigerian flight. The ploy worked and ensured that the Nigerian AA batteries remained quiet. Bombs were dropped manually by the "bombardiers" and appeared to have had some effect and both gunners blazed away as long as the target remained in sight. Elated, the crew made tracks for Enugu where a tumultuous welcome awaited them. The Biafran press, ever mindful of the effects of propaganda, waxed lyrical for days about this attack, hailing Zumbach as "Saviour of Biafra". Very soon after this mission, Zumbach mounted an attack on a motorised column travelling with supplies from Kano which resulted in his being hit by ground fire. Landing at Enugu he discovered that the aircraft had suffered damage to a flap and a tyre had been punctured. Aircraft tyres being unobtainable in Biafra, he was forced to make an unscheduled trip back to Europe to find a spare. Encouraged, no doubt, by his air force's modest successes, Ojukwu called for Zumbach and put to him a proposal that an attack should be made on the only capital ship in the Nigerian Navy, the "Nigeria" which was moored in an estuary off Port Harcourt. The fear was that the Nigerians might be planning a landing to take out Biafra's lifeline to the sea. Special, far heavier, bombs would be required which were manufactured by the Biafran artificer. The raid was to be flown by the A-26 and a Biafran DC-3. As dawn broke on the morning of the 26th July, Zumbach took off leading the attack in the A-26. He dived on the “Nigeria”, dropping small bombs and strafing the vessel with machine gun fire, closely followed by Ezeilo in the DC-3 loaded with two of the special bombs. The first bomb landed astern of the destroyer and the second, thirty feet to the side of her. Both bombs exploded covering the "Nigeria" with clouds of spray and making the sailors run for cover. Their ordnance exhausted, both aircraft returned to Enugu and loaded up for a second attack. Again, the bombs failed to hit the target but they had the effect of making the destroyer up anchor and flee for the safety of the open sea. The attack was, predictably, well hyped by the Biafran publicity machine but, it transpired, several weeks afterwards, that the “Nigeria” had simply withdrawn to the mouth of the river where it remained until the end of the war, effectively blocking access to Port Harcourt. As July progressed, Zumbach found that his meagre air force which now consisted of a Fokker F-27, a DH Dove, the DC-3 and the Invader, which had now been christened "the Shark" in view of its nose art, was unable to cope with the demands being put on it by Ojukwu and his commanders so he hit on the idea of organising a leaflet dropping operation to demoralise the Nigerians. Thousands of leaflets were dropped announcing to the population that selected villages were to be bombed. This resulted in a widespread exodus and a great deal of confusion not only for the civilian population but also for the ground forces. Early in August, Zumbach was summoned to Ojukwu's headquarters and treated to a discourse on the importance of Biafra's oil industry. Biafra produced 50% of Nigeria's crude oil and oil was the major contributor to Biafra's exchequer. As long as it lasted, Biafra could probably hold out. The only way the Nigerians could reverse this situation was to convince the oil companies not to deal with Biafra. To fight his war Ojukwu had to maintain this inward flow of revenue firstly by defending Biafra and secondly by preventing any suggestion of a deal with Nigerians. He told Zumbach that he was to bomb the oil storage tanks at Bonny. Whilst these were on Biafran territory, Ojukwu's argument was that such an action would bring the oil companies to their senses and stop diluting their financial contributions to Biafra. Dangerous reasoning and a large gamble. By this time a consignment of Portuguese 50kg bombs had arrived in Enugu which were far more compatible with the Invader's release mechanisms. The attack was planned for the 3rd August with a newly-arrived pilot, Jean Bonnel, and a Biafran crew making diversionary attacks in the Dove and DC-3 on Nigerian supply columns near Onitsha. Zumbach was to fly to Bonny and deliver the attack. The rains had started and visibility was limited. Several attacks were made on Bonny with the A-26 returning to Port Harcourt for reloading. There was some sporadic Nigerian AA fire but such were the weather conditions that Zumbach could not be sure whether he had hit the target or not. Ojukwu finally agreed that further attacks would be futile and trusted that his initiative had had the desired result. 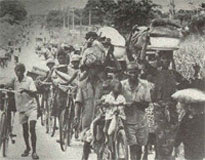 August 1967 proved to be a busy month for Biafra’s Invaders. Bombing raids were made, sometimes alone, sometimes in company with the Dove and the DC-3 on Lagos docks and industrial areas, a bombing raid on Kaduna airfield killed a German civilian of the Dornier Company whilst attacks on the airfield at Kano damaged recently arrived Nigerian Air Force MiG-17’s . On the 12th of the month both Invaders bombed and strafed the Lokoja ferry on the River Niger and, four days later attacked columns of federal forces crossing the Ofusu River. Biafran airgunner, Tony Alaribe, states that the aircraft became unserviceable in late August as a result, it is thought, of wheel brake trouble, so the emphasis was transferred to Invader No. 2 which had been undergoing modification to carry rockets. The original Invader did not fly again and was captured by the Nigerians at Enugu when the town fell on the 4th October 1967. Biafra's second Invader was an RB-26P, formerly 44-34312 and carrying French registration F-BMJR. Its sale to the Biafrans was, in company with many of their arms purchases, engineered by French arms dealer, Pierre Laureys. A French photo reconnaissance version with the extra window in the nose, it is almost certain to have been one of five Invaders based at Creil near Paris in the mid sixties for photographic survey work and registered to a survey company known as Etablissements.Carta. The aircraft, painted black and still carrying its French civilian registration, was picked up from Le Bourget by an American pilot called “Red” Mettrick, who had never flown the type before. Mettrick was, however, an experienced pilot having flown for the US Weather Bureau and the Rhodesian carrier, Air Trans Africa so ferrying the Invader did not present an insuperable problem. After a couple of general handling flights, Mettrick was satisfied that it was sufficiently airworthy for the first leg of the flight to Lisbon where it could receive more detailed attention. His co-pilot who has never been conclusively identified apart from Biafran contacts remembering him as “Captain Mick or Captain Mike”, was employed throughout the flight pumping fuel into its tanks from two 45 gallon drums secured in the fuselage. Mettrick recalls that the additional “plumbing” had been installed in Lisbon courtesy of the Portuguese Air Force. After stopping at Dakar and Bissau the A-26 eventually arrived in Enugu. The second Invader had a transparent nose section and no offensive armaments at first. Alaribe reports that, soon after arrival in Biafra, it was equipped with rockets. The industrious Biafrans lost little time in repainting the aircraft in a scheme similar to that applied to Invader No. 1 but without the shark mouth nose art. It appears that the second Invader was little used and, following a bombing raid with one of Biafra’s two B-25 aircraft, it was damaged in a belly landing at Port Harcourt on the night of the 2/3 December. Despite the Biafrans' efforts to repair it, the aircraft fell into federal hands when they overran the city. It is interesting to note that Nigerian technicians also tried to repair the aircraft with the intention, presumably, of using it against its former owners. As a result of monitoring enemy radio messages requesting spares for the bomber, the Biafran High Command was alerted to what was going on and a commando detachment from the BAF regiment was sent to sabotage the aircraft and deny its use to the Nigerians. Its remains were still extant in 1971, following which its fate is unrecorded. By this time, Zumbach had begun to realise the futility of the Biafrans' struggle and came to the conclusion that despite his best efforts and those of the enthusiastic collection of Biafran aircrews, their missions were having less and less effect. As the year drew to an end he left Biafra and returned to Europe. Thus, by the end of 1967, Biafra’s efforts in the air had come to a standstill. Both Invaders had been captured and the remainder of her rag tag air force lacked any serious offensive capability. The B-25’s soldiered on for a short time before becoming grounded through shortage of spares. 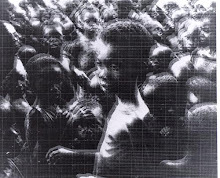 The next year, 1968, saw very little Biafran activity in the air and it was not until mid-1969 that she returned to the offensive although, this time, not with Invaders!